Aaron… Stuck in transporter buffer on shuttle on the Dyson Sphere, Fayth … Power outages due to space manta in amber egg thingy, Guy… summoned to the wild west! David this week welcomes Tawnya to the show to talk about the most recent episode of Star Trek she’s seen for the first time Q-less! After speaking with her during the Never forgetting a Legend episode we learned Tawnya is new to Star Trek but incredibly passionate about it. 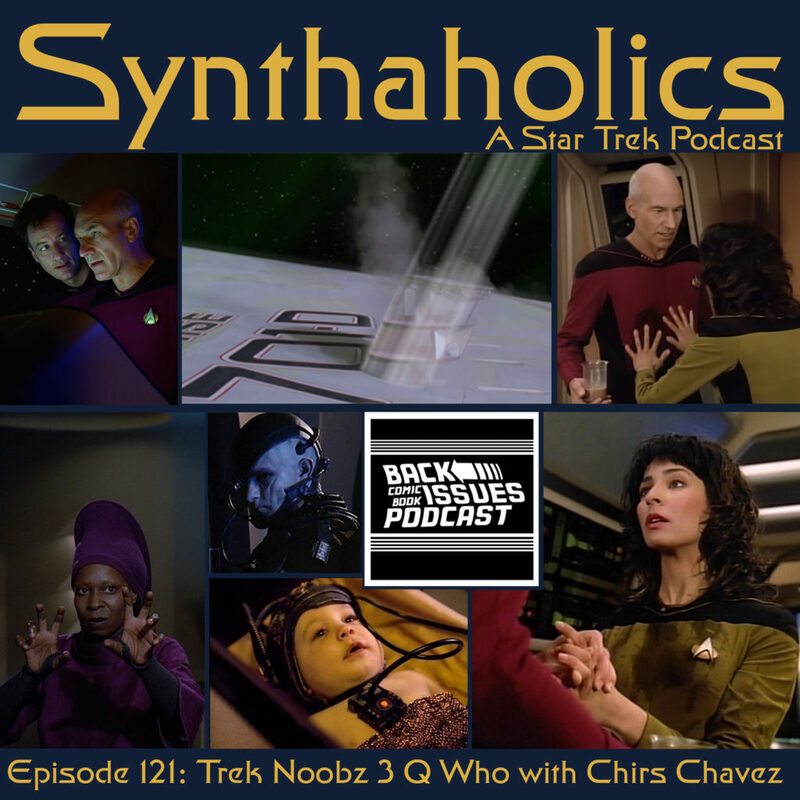 So we at Synthaholics thought it would be interesting to talk about an episode she had just seen so we could get a fresh take on the episode through the eyes of a new Trekkie! Hold on this is the first and last time we ever see Q in Deep Space 9! 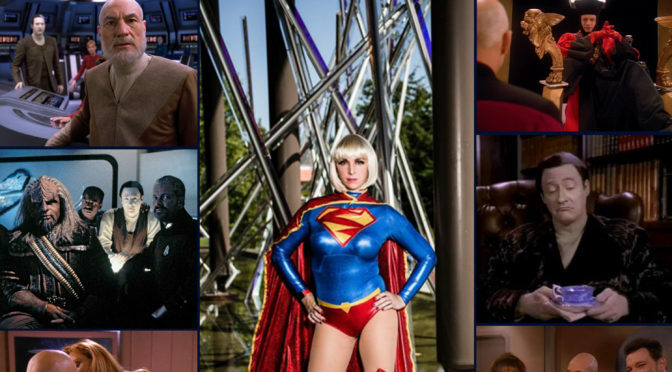 Also this week we have an all new Riker Scores! It’s time to grab a drink it’s time for your weekly shot of Star Trek!